Historically, LULAC has focused heavily on education, civil rights, and employment for Hispanics. LULAC councils provide more than a million dollars in scholarships to Hispanic students each year, conduct citizenship and voter registration drives, develop low-income housing units, conduct youth leadership training programs, and seek to empower the Hispanic community at the local, state and national level. Since 2010, LULAC of Riverside has done extensive work within the community. We began our first year with a redistricting effort. This was quite a process with our members participating in many meetings and hearings. Our chapter drafted a convincing argument and composed the maps that were eventually adopted by the redistricting commission. 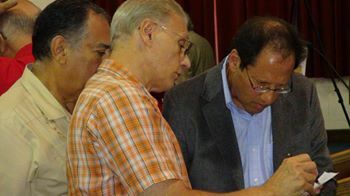 Because of Riverside LULAC’s efforts, the new 41st Congressional District was adopted along with two California State Assembly districts and one State Senatorial district. 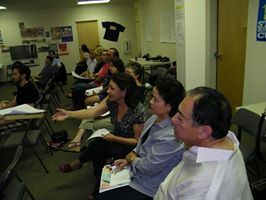 LULAC members attending one of the many workshops where we designed new maps and formulated our arguments. 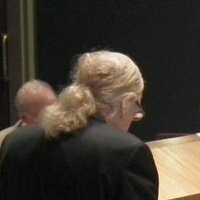 One of our many members who spoke at the California Redistricting Commission hearing. Since the formation of Council 3190 in 2010, we have an ongoing non-partisan voter registration project. 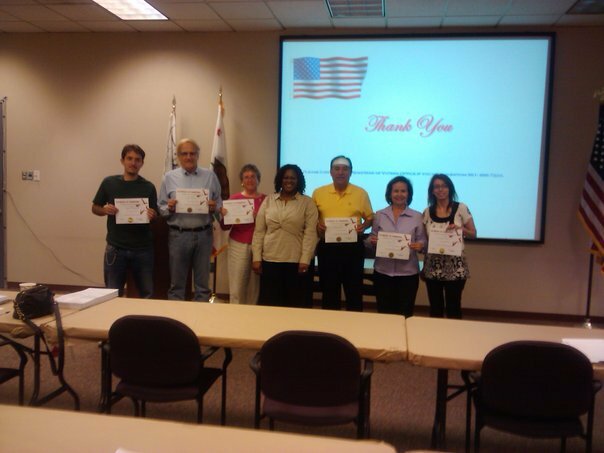 Several members have taken training and been certified to do voter registration by the County of Riverside Registrar of Voters. We have annual high school voter registration drives where we reach out to graduating seniors each year. We believe that the sooner one begins participation in the democratic process, the more likely they will stay engaged in civic participation. Arlington High School and John W.North High Schools in Riverside are just of the few schools LULAC 3190 does voter registration. This is totally non-partisan. We don’t care if they register Decline to State, Republican, Peace and Freedom, American Independent , Democratic or any political party. In 2011, our first health was established, serving hundreds of people throughout Riverside and the Inland Empire. We partnered with the international renown “The Flying Doctors”. For the first time, they gave a dental clinic in the United States that was outside the Coachella Valley. Our community was still suffering from the effects of the “Great Recession” and our chapter was determined to conduct Riverside’s first free dental clinic, despite our lack of experience and funds. Because of the hard work of our members and volunteers we were able to see efforts come to fruition. 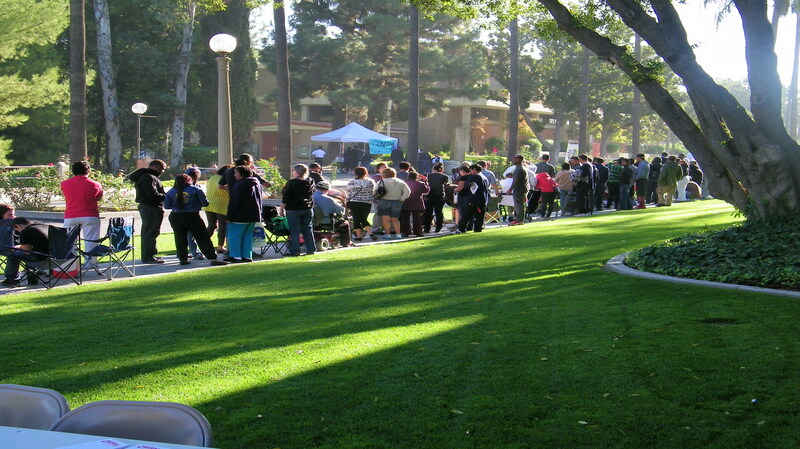 The first Health Fair was held on the beautiful campus of Riverside Community College in downtown Riverside in October of 2011. We learned and gained valuable experience. We came away determined to make future health fairs bigger and better. 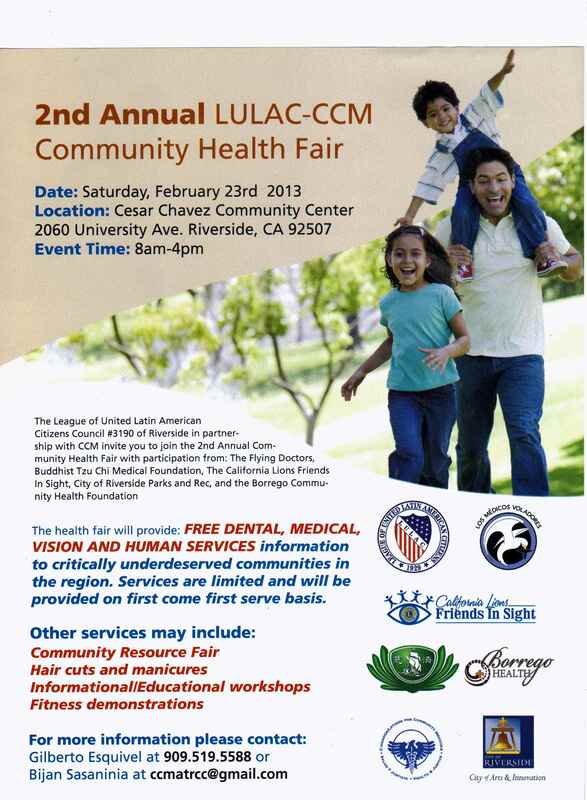 So in February 22, 2014 we will be holding our third Dental Clinic/Health Fair at Cesar Chavez Community Center at Bonds Park in Riverside. Our main health fair partner. This organization is known throughout Mexico and Central America for their selfless dental services they perform for the less fortunate. 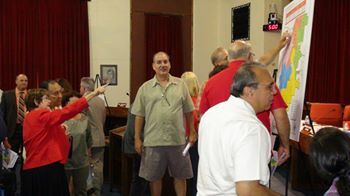 Long lines greeted us at our first Annual LULAC Health Fair/Dental Clinic in October of 2011 Seeing over 200 people lined up before 4:30 am on a Saturday morning, convinced us that our council has chosen a project would set us apart from most civic organizations. In 2012, we led another campaign to redistrict the RUSD school district in order to better represent the community. Since the formation of RUSD the school board trustees had always been elected by an at-large procedure. Several of our members participated in the school board hearings that resulted in the school board establishing separate districts. In 2012 LULAC held a Mayor’s Candidate Forum. Our longtime Riverside Mayor of 20 years, Ron Loveridge was retiring. Even though this position is largely ceremonial and non-voting on the council unless a tie vote exists we thought it was important that the citizens of Riverside have the opportunity to meet and ask questions of all the candidates. All the candidates were invited and the public was given the chance to ask questions about what mattered to them. It was a rousing success. Most of the attendees felt that it was a great experience and they felt that the city, no matter who won,would be in good hands. President Gilberto Esquivel and Health Fair Chairman Yolanda Esquivel patiently await the start of the mayoral candidates forum. 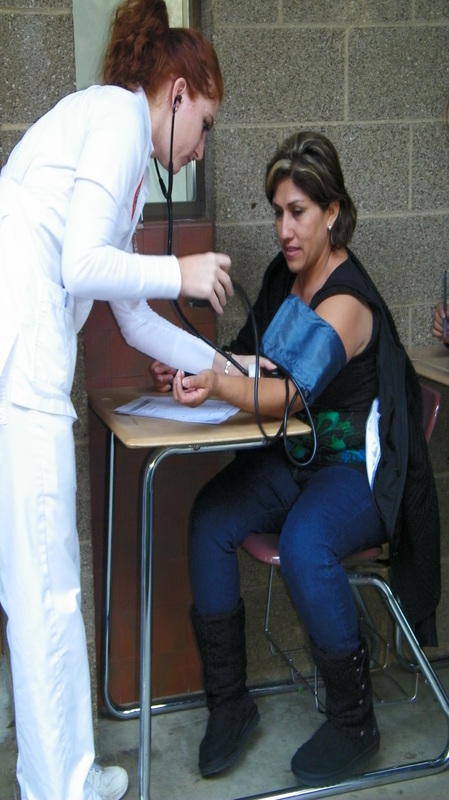 On February 23, 2013, Riverside Council 3190 held their second health fair with “The Flying Doctors” , new partners the Tsz Foundation, “Friends in Sight”(The Lions Club), and the Riverside County Regional Medical Center. It was bigger and better. The Friends in Sight gave out over 400 eyeglasses to the needy in the community. The community received 100s of thousands of dollars in free services. Once again the hard work of our membership and volunteers and LULAC supporters and sponsors helped us hold Riverside’s largest free dental/health clinic to date. The mobile van of the Riverside Regional Medical Center who joined us for the second health fair and will be there again for the 6th Health fair Feb.25th.. The gym at Cesar Chavez Community Center was busy with people receiving free dental treatment. 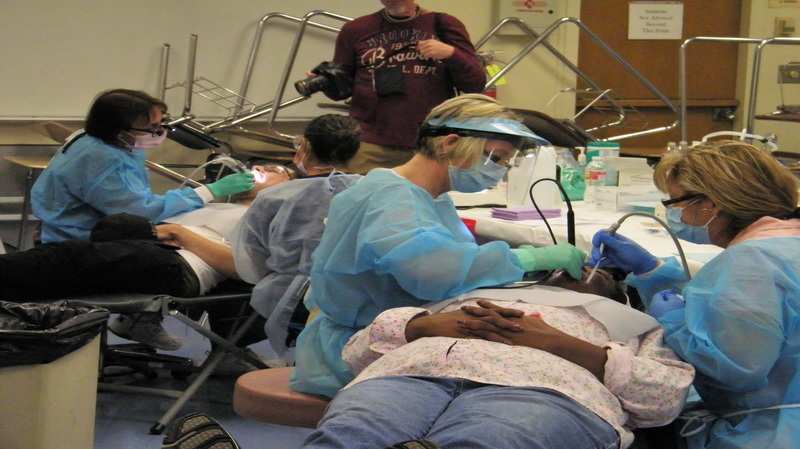 This year for our 6th Health Fair they will be busier than ever with 24 Dental Chairs the most ever! Every year the California Lions Friends in Sight treat over 400 plus people with eye exams and glasses. In 2013 members of LULAC Council 3190 also helped sponsor a citizenship form that helped members of the community who wanted help applying for citizenship. We also sponsored an effort to help refugee children from Central America who were fleeing from the ravages of the drug war.We have also worked with UCR Health to examine better ways to address the many health concerns of our community. In 2014, Riverside LULAC Council 3190 was granted a tax-exempt status from the Federal and State governments. We continue to be active in non-partisan voter registration and continue to be an advocate for the betterment of the community. In 2016, in addition to holding our annual health fair in February, we also contributed to signs that are going up alongside the 91 Freeway. These signs are to honor Riverside’s Three Medal of Honor Winners. The League of United Latin American Citizens is the largest and oldest Hispanic Organization in the United States. 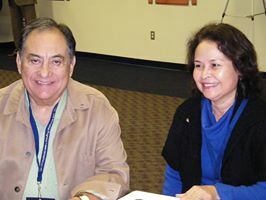 The mission of LULAC is to advances the economic condition, educational attainment, political influence, health and civil rights of Hispanic Americans through community-based programs operating at more than 900 LULAC councils nationwide. The organization involves and serves all Hispanic nationality groups.